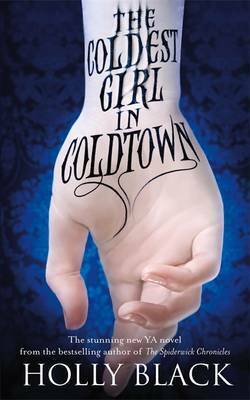 With my interest waning in Holly’s Curse Workers series, I was reluctant to start Coldtown. Borrowing it from my local library, I’d renewed it twice before I had actually started reading it. Within the first few pages, I was bored. I wondered to myself whether I’d have to give up on it, but by page ten things had taken a turn and I couldn’t stop. It became really engrossing, with characters you could care about, ones you really wanted to win—or to lose—and a lead girl that didn’t irritate me one bit. Tana was fully of worry, but incredibly strong willed and at times, morally conflicted. It all added together making her someone I really wanted to read about. Though this book had vampires, it didn’t feel like anything I’d read before. It really does take the genre in a new direction. If anything, it’s a little dystopian-ish in its way in which humans are rounded up and taken to Coldtowns—walled cities designed to trap vampires within—if they’re suspected of having been bitten. The way in which it was depicted made it seem like this could be our world—one careless vampire infecting a human, and them infecting another and so on, the secrecy of vampirism destroyed. But not only that, incorporating the way in which social media would change to adapt to the knowledge of vampires, the sudden outbreak of groupies, the fear, the changed lifestyles, it all adds together to give a realistic impression of what life would be like if such a thing happened to us. Now, it doesn’t get all caught up in itself with pages and pages of world building upon world building either though. Tana takes the forefront, basically taking us on a ride with her flirty (and infected) ex and a vampire that she rescues/chains up. Part roadtrip/part exploration/part manipulating—it was all fun. Some may find it slow—the getting there—but I really enjoyed each aspect, the characters growing along the way, each step bringing new worries, new obstacles, each fitting another piece into the puzzle. It felt like something that would make a good movie actually. I’d really enjoy watching things play out, as violent as things were at times. But it’s a vampire outbreak book. Death happens. For those worried about the romance, don’t be. It’s kept very minimal. I mean, it’s there, but done subtly. Characters don’t openly swoon and make love declarations after they’ve known each other five minutes. They’ve got more pressing things on their minds. Like surviving. There are some nice scenes, though, that I thought fitted their characteristics and the situations well. I really liked that we started out with Tana having an ex, and her trying to deal with his nonsense. 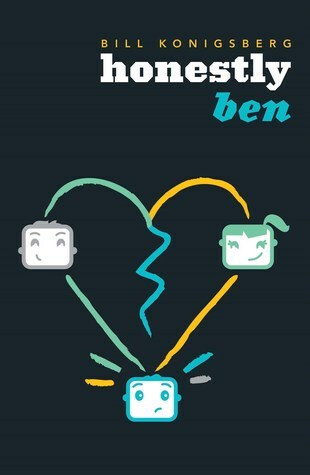 It was much more fun than watching an already established couple break up so that the new love interest could move in. Leaving the majority of the plot for the plot paid off making Coldtown a book I would recommend to anyone who used to enjoy the vampire genre, yet has grown tired of all the clichés. Anyone after a strong heroine, a vampire infested world, and a government/military regime trying to deal with it. The overall storyline reminds me a little of Julie Kagawa’s Blood of Eden series. You had me at dystopian feel. I’ve got this one on my Kindle that I bought months ago, but definitely pushing it up to the top of my to read list. Brilliant review.